By Gary W. Dallin, P. Eng. 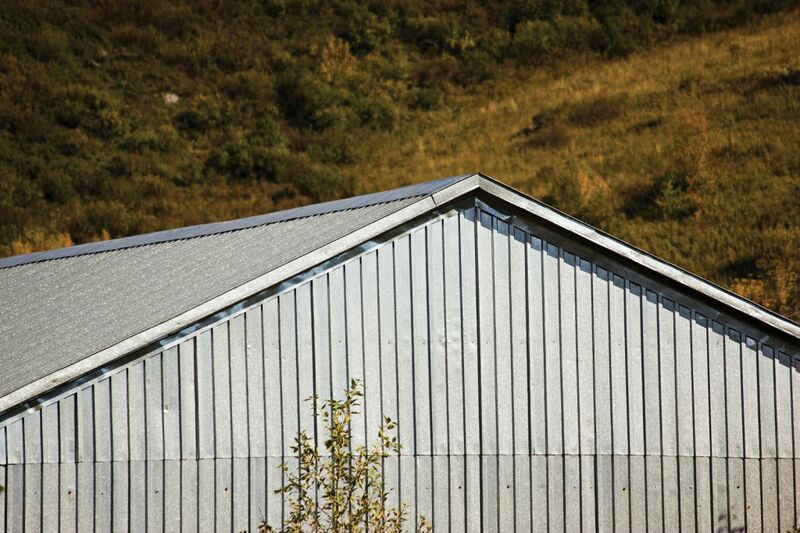 A metal roof lasts two to three times longer than its non-metal counterpart.1 Metal buildings comprise almost half of low-rise, non-residential construction in North America, and a high fraction of these buildings employ prepainted metallic-coated steel sheet for both the roof and walls. 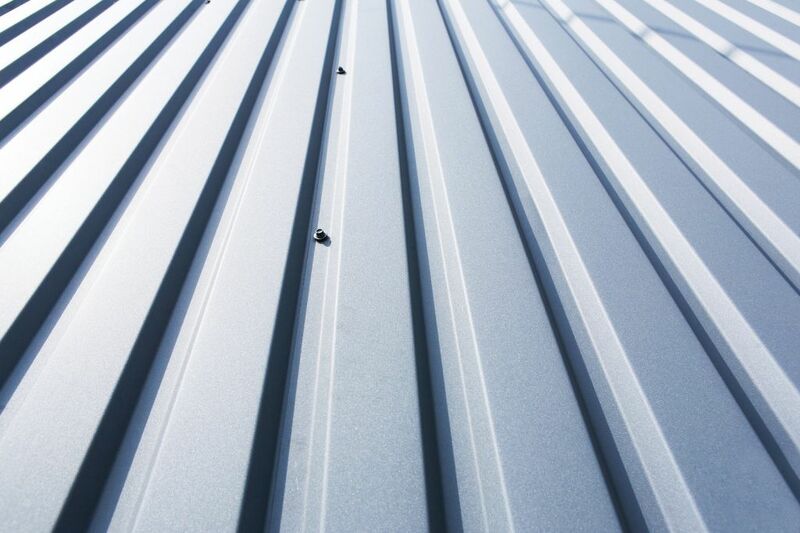 One of the first considerations in the selection of a prepainted metallic-coated steel sheet product is the service environment to which it will be exposed.2 The environment encompasses both the general climate of the region, and localized effects. presence of chlorides near coastal locations. The latitude of the location governs the amount and intensity of UV radiation to which the product is exposed, the hours per year of sunlight, and the angle of exposure of the prepainted sheet. Obviously, a low-angle (i.e. flat) roof on a building located in a desert area in the low latitudes requires a primer and top coat system resistant to UV radiation to avoid premature fading, chalking, and cracking. On the other hand, UV radiation damage would be of much less concerning for vertical wall cladding on a building located in a high-latitude, cloudy climate. Time of wetness refers to the length of time the cladding on roofs and walls are wet due to rain, high humidity, fog, and condensation. Paint systems are not impervious to moisture. If wet long enough, moisture eventually reaches the substrate under any coating, and corrosion begins. The amount of chemical contaminants (e.g. sulphur dioxide and chlorides) present in the atmosphere then governs the corrosion rate. Local or microclimate effects that need to be taken into account include wind direction, pollution fallout from industrial plants, and marine environments. The prevailing wind direction should be considered when selecting a coating system. If the building location is downwind from a source of chemical contamination, then caution is advised. Gaseous and particulate exhaust emissions can have a serious effect on paint systems. Within 5 km (3.1 mi) of heavy industry, corrosivity can range from moderate to heavy depending on wind direction and local weather conditions. Beyond this distance, the effects associated with pollution fallout from industrial plants are usually reduced. If prepainted buildings are located close to the seacoast, the effects of salt water can be severe. Within 300 m (984 ft) of a coastline can be critical, while significant effects can be felt up to 5 km inland, and further, depending on offshore winds. Canada’s Atlantic Coast is one region with a climate where such effects can occur. If the corrosiveness of a proposed building site is not obvious, an investigation of the local area can be helpful. Data from environmental monitoring stations are useful as these data provide information on precipitation, humidity, and temperature. Examine unwashed surfaces in protected exposures to learn about particulate fallout from industry, roads, and marine salts. One should examine the performance of structures in the immediate vicinity—if building materials such as galvanized fences and galvanized or prepainted cladding, roofs, eaves troughs, and flashing are in good shape after 10 to 15 years, the environment is probably not aggressive. If structures show distress after only a few years, a cautious approach is justified. Paint suppliers have the knowledge and experience to recommend paint systems for specific environments. The thickness of the metallic coating beneath the paint has a significant effect on the life of a prepainted sheet in the field, particularly in the case of galvanize. The thicker the metallic coating, the lower the rate of undercutting corrosion at a sheared edge, at a scratch or any other place where the paint film integrity is lost. At locations where the paint is cut or damaged and the zinc or zinc-based alloy is exposed, there is lateral undercutting corrosion of the metallic coating. As the coating is consumed by the corrosion reaction, the paint loses adhesion, and peels back or flakes off the surface. The thicker the metallic coating is, the slower the rate of undercutting corrosion and the lower the rate of lateral paint delamination. 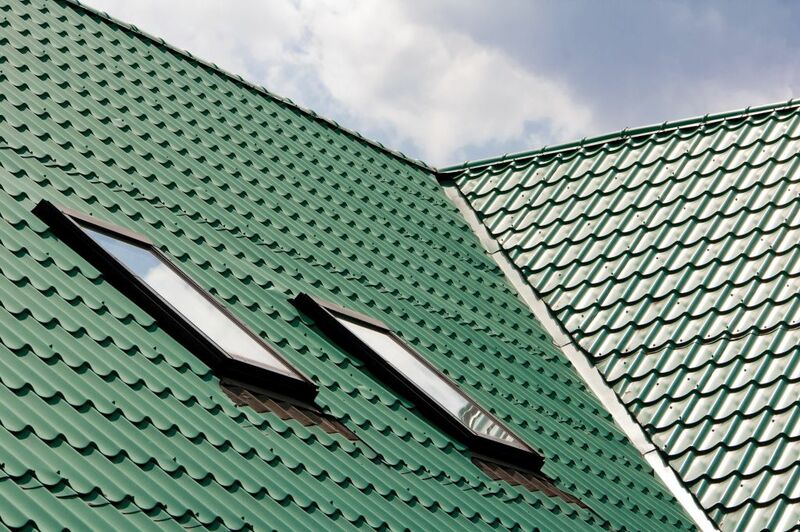 In the case of galvanize, the importance of zinc coating thickness, especially for roofing, is one reason many of the manufacturers of galvanized sheet products recommend ASTM A653, Standard Specification for Steel Sheet, Zinc-coated (Galvanized) or Zinc-Iron Alloy-coated (Galvannealed) by the Hot-dip Process, coating weight (i.e. mass) designation G90 (i.e. 0.90 oz/sf) Z275 (i.e. 275 g/m2) for most prepainted galvanized sheet applications. For prepainted 55 per cent aluminum-zinc alloy coatings, the issue of thickness is more complex for several reasons. ASTM A792/A792M, Standard Specification for Steel Sheet, 55 % Aluminum-Zinc Alloy-coated by the Hot-Dip Process, coating weight (i.e. mass) designation AZ50 (AZM150) is often the recommended coating as it has been shown to be adequate for long-term performance. Due to its hard, brittle nature, galvanneal (GA) is not used to produce prepainted sheet steel. The bond between the paint and this zinc-iron alloy coating is stronger than that between the coating and the steel. During forming or impact events, the GA cracks and delaminates under the paint, resulting in both layers flaking off. The corrosion resistance of painted galvanized steel is strongly influenced by the chemical and physical stability of the interface between the zinc surface and the organic coating. Until relatively recently, for galvanize, mixed oxide chemical treatments were used to provide the interfacial bond. Increasingly, these are being replaced with thicker, more corrosion resistant, zinc phosphate treatments, which are better at resisting under-film corrosion. Zinc phosphate is particularly effective in marine environments, and applications where there are long times of wetness. 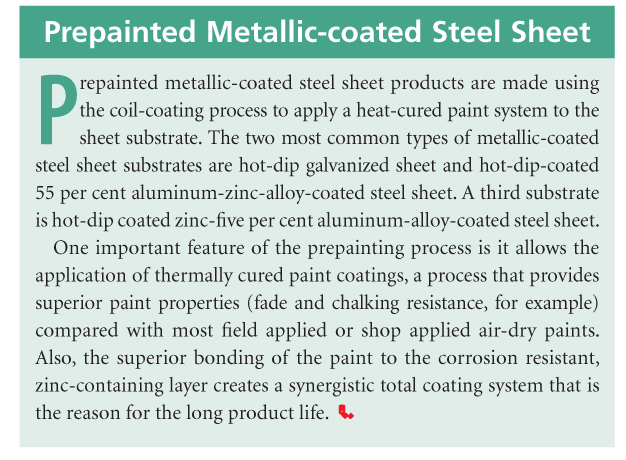 A document providing a general review of the available paints for metallic coated steel sheet products is ASTM A755/A755M, Steel Sheet, Metallic Coated by the Hot-dip Process and Prepainted by the Coil-coating Process for Exterior Exposed Building Products. proper thermal curing of both the primer and paint. The importance of panel design, specifically the bend radii along the formed ribs, is another important issue. As noted, zinc corrosion occurs at areas where the paint film is damaged. If the panel design is such the bend radii are small, there is always the tendency for cracks to develop in the paint coating. Typically, these cracks are small, and are often referred to as ‘micro-cracking.’ Nevertheless, the metallic coating is exposed and the potential is present for an increased rate of corrosion along the bend radii on a roll-formed panel. The potential for micro-cracking at bends does not mean deep profiles are impossible—to accommodate these profiles, the designer should include as large a bend radius as possible. In addition to the importance of panel and roll-former design, the operation of the roll-former influences the field performance. For example, alignment of the roll sets influences the actual bend radii. If the alignment is not proper, the bends may develop sharp kinks in the profile bends instead of smooth-flowing, gradual bend radii. These ‘tight’ bends may lead to more severe micro-cracking. Also, it is important the mating rolls do not abrade the paint coating as this degrades the ability of the paint to accommodate the bending operation. Spring-back is another relevant issue that needs to be recognized when roll-forming. The usual way to allow for spring-back is to ‘over-bend’ the panel. This is required, but over-bending during the roll-forming operation does tend to cause more micro cracking. Again, the quality control procedures of building panel producers are set up to deal with these issues. A condition known as ‘oil canning’ or ‘pocket waves’ can sometimes occur on roll-formed prepainted steel sheet panels. Panel profiles with wide web or flat areas (i.e. architectural profiles) are particularly susceptible. This condition creates an unacceptable wavy appearance when the panels are installed on roofs and walls. While oil canning can be caused by numerous reasons, including poor incoming sheet flatness, roll-former operation, and installation practices, it can also result from elastic buckling of the sheet during forming because compressive stresses occur in the panel’s longitudinal direction.5 This elastic buckling results because the steel has a low or zero yield-point-elongation (YPE)—the strain associated with discontinuous yielding that can occur when steel is placed in tension. During roll forming, the sheet tries to thin in the thickness direction and contract in the longitudinal direction over the web area. In steel with low YPE, the non-deformed regions adjacent to the bend prevent contraction longitudinally and are placed in compression. Pocket waves occur in the web areas when the compressive stresses exceed the elastic buckling limit stress. Steel with a high YPE improves roll formability because more of the stress is used to concentrate thinning locally at bends, resulting in less transfer of stress to the longitudinal direction. In this manner, the discontinuous (localized) yielding phenomenon is used to advantage. As a result, prepainted steel with YPE greater than four per cent will roll form satisfactorily into architectural profiles. Lower YPE material may roll form without oil canning depending on roll-former setup, steel thickness and panel profile. Oil canning severity decreases as more stands are used to form a profile, steel thickness increases, bend corner radius increases, and web width decreases. If the YPE is higher than six per cent, fluting (i.e. severe localized yielding) may occur during roll forming. Proper temper rolling of the steel sheet at the time of manufacture will control this. Steel manufacturers need to be aware of this when they are supplying prepainted sheet for architectural panels so manufacturing processes can be used that will produce YPE in the acceptable range. Perhaps the most important issue related to storage at the jobsite prior to putting the panels onto a building is keeping the panels dry. If moisture is allowed to permeate between adjacent panels, either from rainfall or condensation, and the panel surfaces are then not allowed to dry soon thereafter, several undesirable things can happen. Paint adhesion can be adversely affected, leading to the development of small blisters between the paint and the zinc coating even before the panels are placed into service. Needless to say, this behaviour potentially accelerates the loss of paint adhesion in service. At times, the presence of moisture between the panels at a jobsite can actually cause the formation of white rust (i.e. corrosion of the zinc coating) on the panels. This is not only undesirable esthetically, but it may also render the panels unusable. Corrosion is greatly influenced by the time of wetness. One of the most important design rules, therefore, is to ensure all rain and melting snow can run off a building. Water should not be allowed to collect and sit in contact with a building. Roofs with low slopes are subject to the most severe corrosion conditions because they encounter high levels of UV radiation, acid rain, particulate fallout, and wind-borne chemicals—every effort should be made to avoid water ponding at overlaps, ventilators, air-conditioning equipment, and walkways. Drip edge puddling is a function of roof slope—the greater the slope, the better the corrosion performance at drip edges. Further, dissimilar metals (e.g. steel, aluminum, copper, and lead) should be separated electrically to prevent galvanic corrosion, and the runoff path should be directed to prevent water running from one type of material to another. Using lighter colours on roofs to lessen the damage from UV radiation should be considered. Further, in areas where the roof of a building experiences heavy snow accumulation and the snow is on the roof for long periods, there is the possibility of shortened panel life. If the building design is one where the space immediately beneath the roof panels is warm, the snow next to the sheet may be kept melted all winter long. This continual slow melting leads to a situation where the painted panel is in constant contact with water (i.e. a long time of wetness). As explained earlier, the water eventually permeates the paint film and corrosion can be severe, leading to an abnormally short roof life. If the interior roof is insulated so the roof panel stays cold on the underside, then the snow in contact with the exterior surface is not constantly melted, and the paint blistering and zinc corrosion associated with long times of wetness are avoided. Also, one should keep in mind the thicker the paint system, the longer it is before moisture permeates to the substrate. Vertical sidewalls receive less exposure to the weather than other parts of a building and suffer less deterioration, with the exception of protected exposures. Also, cladding located in protected exposures (e.g. wall reliefs and overhangs) receives less exposure to sunlight and rainfall. Corrosion is increased in such locations because contaminants are not washed away by rain and wetness due to condensation; it is also not dried due to the absence of direct sunlight. Protected exposures in industrial or marine environments, or close to major thoroughfares, should receive special attention. Horizontal portions of wall cladding should be adequately sloped to prevent the accumulation of water and contaminants—this is particularly important for base flashings, as an inadequate slope can allow both it and the cladding resting on it to corrode. Similar to roofs, dissimilar metals (e.g. steel, aluminum, copper, and lead) should be separated electrically to prevent galvanic corrosion. Also, corrosion can be an issue for sidewall panels in areas receiving high amounts of snow—if possible, snow should be removed from areas adjoining the building, or good insulation practices should be employed to prevent snow buildup against a building from continually melting on the panel surface. Insulation should not be permitted to become wet, and if it does, never let it come in contact with prepainted panels—once insulation gets wet, it does not dry quick (if at all), leading to a situation where the panel is subject to long times of wetness—a condition that will lead to accelerated failure. An example, when the insulation at the bottom of sidewall panels gets wet because water sits on the footer—a design that involves the panels overlapping the footer, rather than one where the panel bottom is set directly onto the footer seems preferable to minimize this potential problem. Prepainted 55 per cent aluminum-zinc-alloy-coated sheets should not come in direct contact with wet concrete—concrete’s high alkalinity attacks the aluminum, causing the coating to peel.7 If the application involves the use of fasteners that penetrate through the panels, the fasteners need to be selected so their life matches the life of the prepainted panel. Today, there are screws/fasteners with an organic coating on their heads providing corrosion protection and are available in colours to match the roof/wall cladding. Perhaps the two most significant issues relating to field installation, especially when the application is a roof, are the way the panels are moved around on the roof and the impact of the worker’s footwear and tools. If the panel edges have any type of burr from the shearing operation, the paint film can be scratched through to the zinc containing coating when panels are slid across one another. As noted, at any location where the paint integrity is compromised, the metallic coating begins to corrode more rapidly and the life of the prepainted panel is adversely affected. Similarly, worker’s footwear can cause similar scratching damage. It is important shoes or boots do not allow small stones or steel drillings to be embedded into the soles. During the installation, there are often small drillings and/or cuttings (i.e. ‘swarf’) from the fastening and trimming operations—remember, these contain steel. After the job is done, or even before, the steel will corrode and leave behind a rust discoloration that is objectionable, especially if the paint colour is a light tone. Too often, this discoloration is thought to be actual premature degradation of the prepainted panels, and in addition to the aesthetic issue, the building owner needs to be convinced the building is not failing prematurely. All swarf should be immediately removed from the roof. If the application involves a low-slope roof, there is a possibility of water ponding. Even though the slope design might be adequate to provide for free drainage, there might be local issues leading to ponding of water. Small dents caused by workers (e.g. walking or placement of tools), can leave behind areas that do not experience free drainage. If free drainage is not allowed, the ponding may lead to paint blistering, then to paint disbondment in larger areas, and then to more aggressive corrosion of the metallic coating beneath the paint. After erection, settling of the building may lead to improper roof drainage. Simple maintenance of the prepainted panels on the building involves washing with water from time to time. 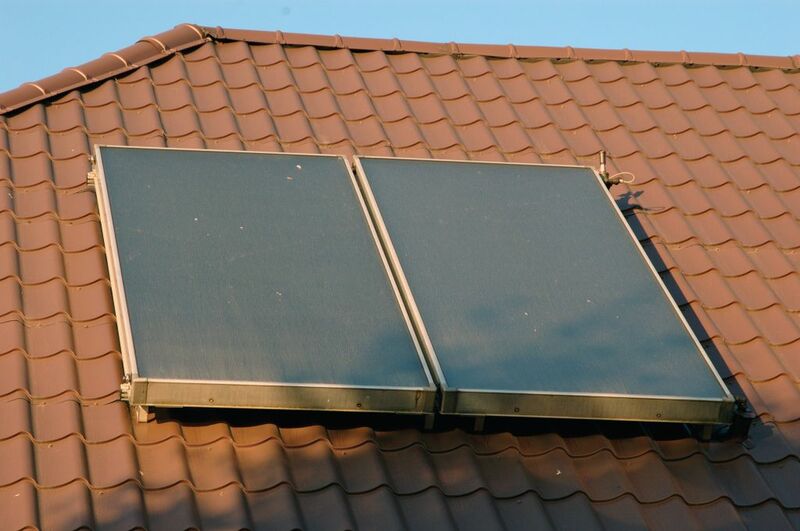 This is not usually necessary for installations where the panels experience rainfall such as a roof. However, in protected exposure areas, such as the soffit and wall sections beneath eaves, washing every six months is beneficial to remove corrosive salts and debris from the surface of the panels. after cleaning, wash the surface thoroughly with clean water. It is recommended any cleaning be done by first ‘test cleaning’ a small surface area in a location that is not boldly exposed to be certain satisfactory results are achieved. Also, for roofing applications, the removal of loose debris such as leaves, dirt, or building effluent (i.e. 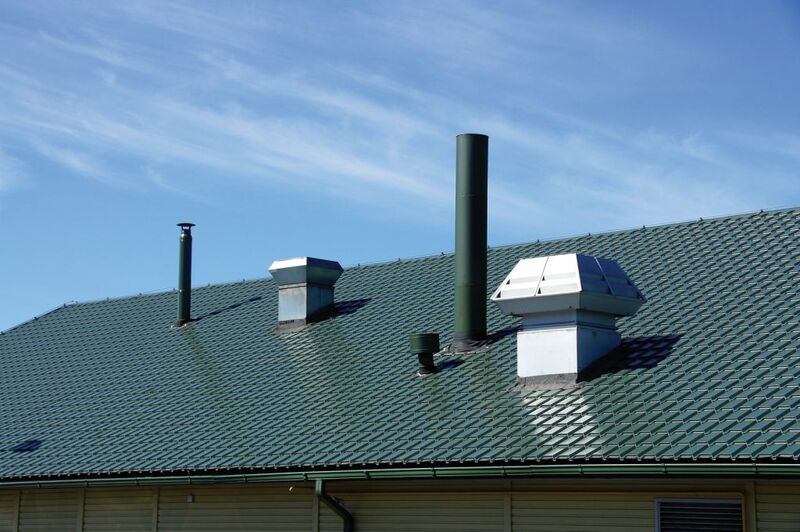 dust or other residues around roof vents) is important. Even if these residues do not contain corrosive chemicals, they prevent the quick drying vital for a long-term roof. Also, a metal bladed shovel should not be used to remove snow from roofs. This can cause severe scratching of the paint. 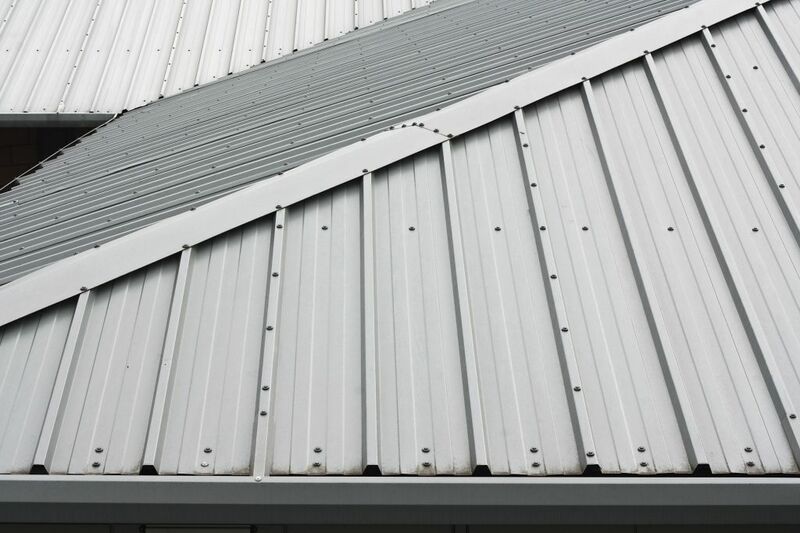 Prepainted galvanized steel sheet has been successfully used for decades in various climates for building cladding (roofs and walls). With proper selection of the paint system, careful design of the building, and regular maintenance, long and trouble-free service is achieved. Gary Dallin is director of the GalvInfo Center, a program of the International Zinc Association. Previously, he was employed as a metallurgist in the Canadian steel industry. 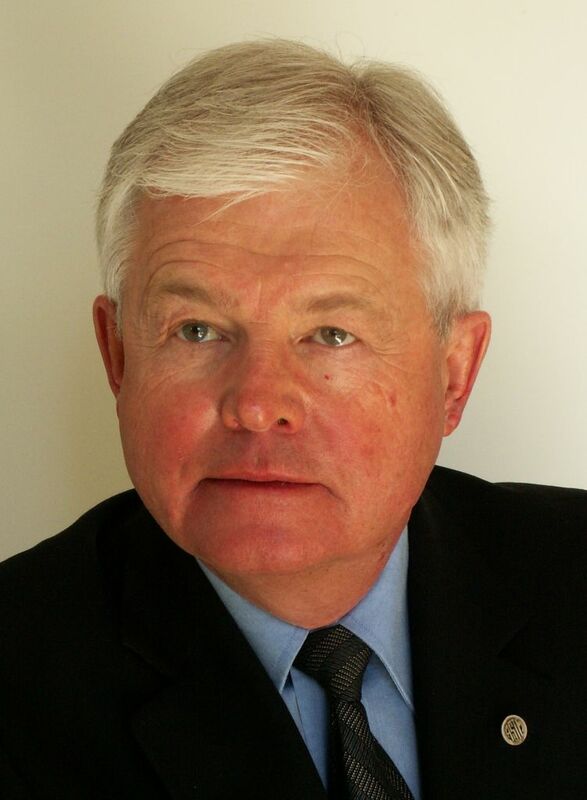 Dallin has more than 45 years of experience with galvanized and prepainted steel sheet products, is a registered Professional Engineer in Ontario, and is active on ASTM International Committee A05 on Metallic-Coated Steel Products. Dallin can be contacted at info@galvinfo.com.